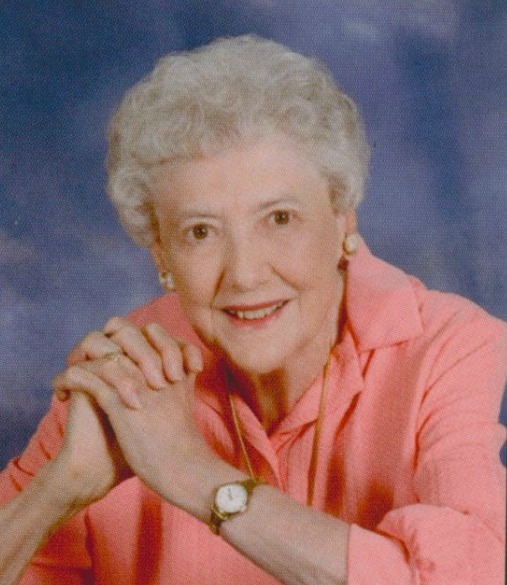 Kathleen Lorraine Wetherbee went home to her Lord on Tuesday, August 23, 2016. Kathleen was born in Sacramento, California on January 2, 1926 to John and Mary Johnson. She lived and worked in retail and banking in Oakland and Patterson, California until her marriage to Edward Wetherbee in 1973 after which they settled in Mesa, Arizona. Kathleen has been an active member of the Catholic Daughters of America since 1988. She held positions of office and attended many state and local conventions. She will be sadly missed by many friends and neighbors. Kathleen was preceded in death by her husband, Edward. She is survived by her great nieces – Janet (Warren) Dunkel; Cindi Prather; great nephew – Charles (Judy) Lane all from Iowa, her long time best friend Eileen Esch and extended family Richard, Linda and Klair Weiland, Devin Crumpton and Matthew and Michelle Anthon all from Arizona. My heart and prayers goes out to the family. I pray that you will find comfort in knowing that death was never a part of God’s plan. Death is God’s enemy and it is not stronger than God. Just as our heavenly father had the desire and the power to create life, motivated by that same desire and by means of that power, he promises to undo death. Even though death causes great sadness to those left behind to grieve, God’s wonderful promises gives us a reason for joy … 1 Corinthians 15:26; John 5:28, 29; Revelations 21:3, 4.